A comedy about family and dashed dreams, The Royal Tenenbaums introduces plenty of peculiar characters but drowns them in uninspiring incompetence. 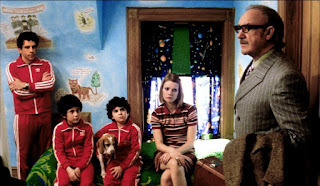 Royal Tenenbaum (Gene Hackman) separates from his wife Etheline (Anjelica Huston), shocking their three young kids Chas, Richie and the adopted Margot. Each of the children possesses genius talent: Chas in business, Richie in tennis and Margot in writing. Meanwhile, Richie's best friend Eli's spends all his hours with the Tenenbaums. Twenty two years later a financially broke but still upbeat Royal learns that Etheline may be falling in love with her accountant Henry (Danny Glover), and reappears at the family home to try and win back her love and make amends with the children. The now-grown kids are not doing so well. Richie (Luke Wilson) is a has-been tennis prodigy after suffering an on-court meltdown during a competitive match; Chas (Ben Stiller) has become paranoid after losing his wife in a fire, and the still morose Margot (Gwyneth Paltrow) is stuck in a miserable marriage with Raleigh St. Clair (Bill Murray), and having an affair with Eli (Owen Wilson). Directed by Wes Anderson and exquisitely photographed by Robert Yeoman, The Royal Tenenbaums features character quantity and compositional splendour but not narrative quality. While the film exhibits all the typical Anderson quirkiness, the various plot threads never weave together, and the story idles rather than thrives. The opening is promising, and the emerging potential of genius kids offers no shortage of possibilities. 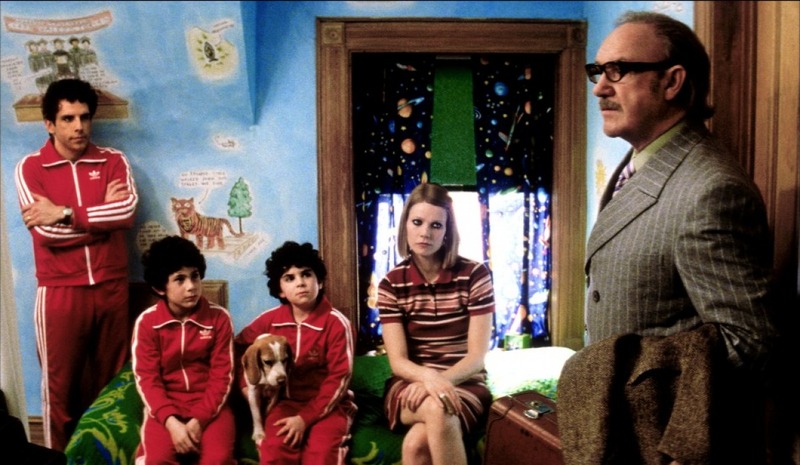 But after the time jump the children emerge as adults who never blossomed, and The Royal Tenenbaums has nowhere to go. Despite a game cast there is limited enjoyment to be found in watching multiple wasted lives weighed down by the luggage of broken hearts, decades-long grudges, neglect and unmet expectations, but this is where the film resides, and no amount of attempted dry humour can save it. The script lacks a cutting edge, the dialogue is listless, and the characters range from boring to irritating, with none likeable. Attempts to inject some drama and humour include two men (other than her husband) in love with Margot, a suicide attempt, and a brief Benny Hill-style madcap chase. None succeed in enlivening proceedings. The cast members pose rather than act, in typical Anderson fashion precise symmetrical scene composition more important than individual showiness. The Royal Tenenbaums is always intriguing to look at, but more as a series of paintings than an engaging movie.